Iceland is a country of stark yet beautiful contrasts. In the dead of winter, there are 17 hours of dark night, yet it boasts one the planet’s best natural fireworks, the Aurora Borealis, lighting up the sky in otherworldly colorful magnificence. 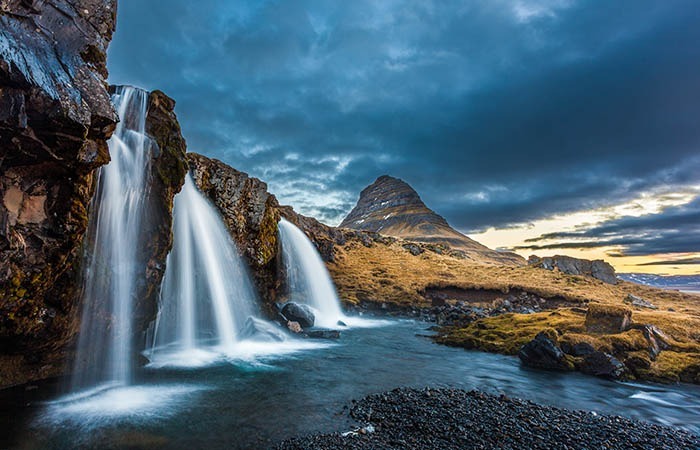 Formed by volcanos and tectonic plates, the land can be harsh, yet it is home to towering fjords, spectacular waterfalls and steaming-hot clear spring lagoons. Currently known as a place that celebrates environmental protection and women’s rights, it also has a strong religious history that stretches back to the first century AD. 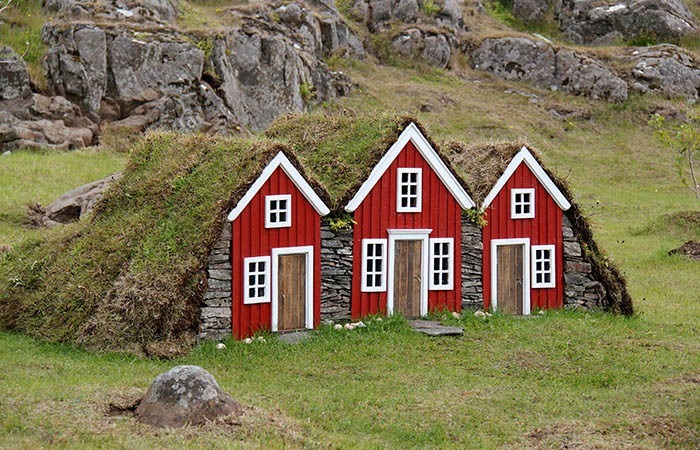 Scientifically minded, the Icelandic people retain a strong connection to the folklore and mythology that resonates in their landscapes and the culture. In every fjord and rock formation lurks a story and every legend still holds sway even in this modern world. 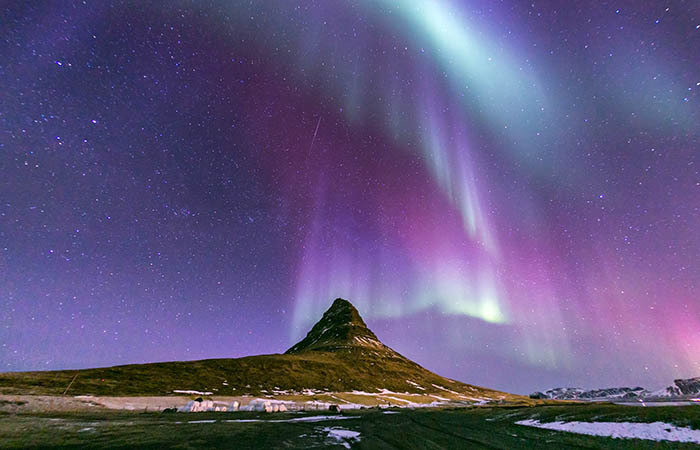 Iceland manages to marry the ancient with the new, the myths with the contemporary, creating a cultural rich and geographically astounding experience. Day 1 | Reykjavik Evening departure from the US hub, where you board your direct Air service to Reykjavik. 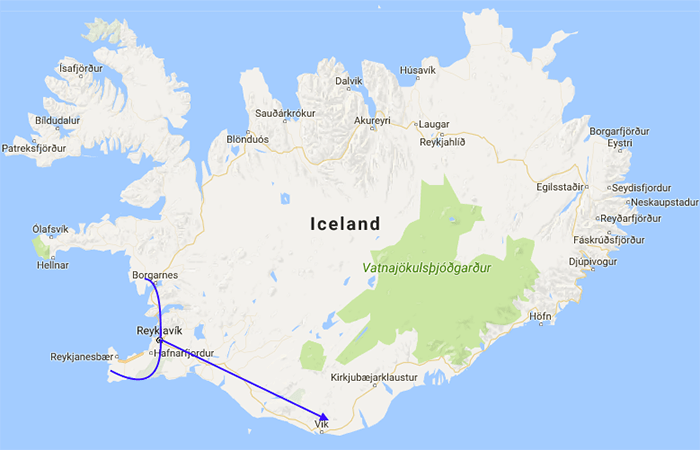 NOTE: This itinerary is subject to change to take advantage of the serendipity of the moment when we are in Iceland... to meet someone special, to engage in an activity that might occur unexpectedly, or to accommodate circumstances beyond our control. Restaurants or hotels may change in similar category. INCLUDED: In-country transportation per itinerary; hotel; full breakfast buffet daily at the hotel plus 2 lunches and 2 dinners (B/L/D per itinerary); in-country airport transfers; all entrance fees as listed per itinerary; local English-speaking guide; CCJ trip manager, preparation materials; personalized luggage tags. NOT INCLUDED: International airfare, Meals not on itinerary, (B/L/D per itinerary); alcoholic drinks; excursions not on the itinerary; tips for local guide and driver (optional, yet customary); travel cancellation and evacuation insurance (strongly recommended, info will be sent upon registration).